Amsterdam is surely one of the prime destinations to visit in Europe. But the city is way more than its central part called ‘the Ring’ and has many neighborhoods that visitors will enjoy. Even though I’ve lived and worked in Amsterdam for a year, I’ve not spent much time in the neighborhood of Oud-Zuid, so on my recent trip, I decided to explore this area properly. I particularly recommend this area during the winter. Oud-Zuid is conveniently located if you’re coming from Schiphol International Airport as many fast and regional train operates from station Zuid. 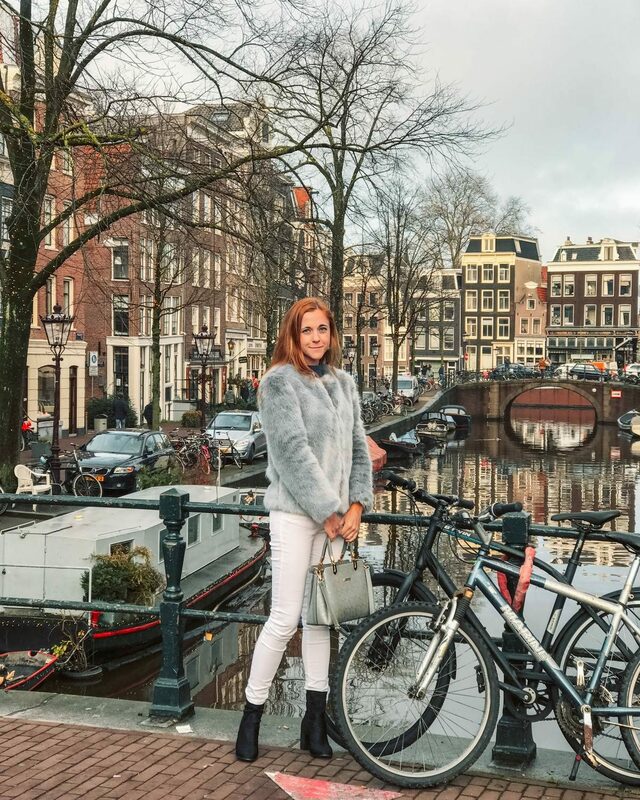 It’s a home to some of the world’s best art museums and one of the most beautiful houses in Amsterdam, surrounded by chic boutiques and local markets. If you’re more into nature, you can’t miss Vondelpark, the biggest park in the city. 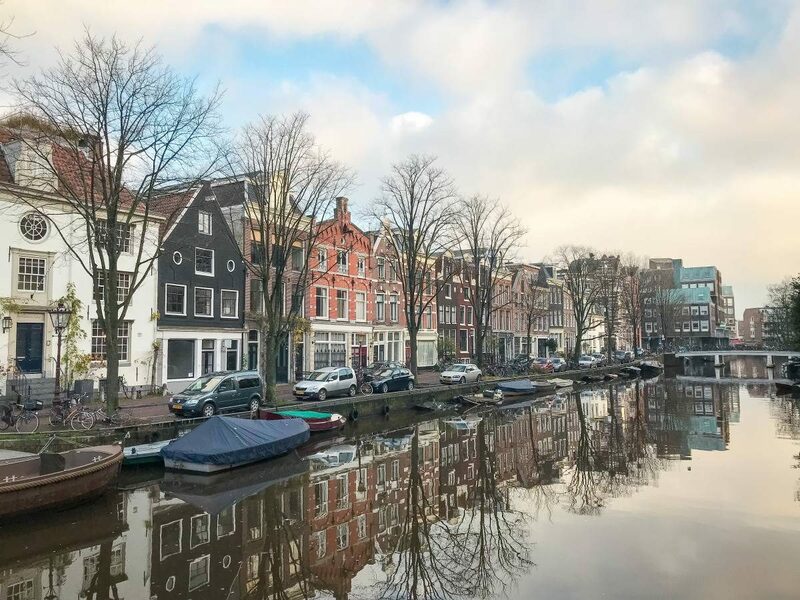 Without a doubt, Oud-Zuid is one of the most desirable areas to live for Amsterdam residents. Houses there are perfectly picturesque and you can spend hours just walking around and admiring them. There are also plenty of cute boutique shops, such as for instance Menno Kroon. During the winter this eclectic flower shop adapts some holiday themes and brings to live very original Christmas decoration, like Dutch cheese, scrambled egg, or even a naked Santa Claus. Dutch museums are surely one of the kind. A lot of them are actually located in Oud-Zuid neighborhood. All museums are very easy to find, just hop off at ‘Museumplein’ stop, where the giant iAmsterdam sign is located. While I’m personally in love with Dutch Golden Age art, I recommend you a visit at one of the know museums to get a taste of what a Dutch art is like. At Rijksmuseum, you’ll be able to see Rembrandt’s Nightwatch or some of Vermeer’s gorgeous genre scenes. Next door, the Stedelijk Museum of Modern Art flaunts its updated design with surprising exhibitions. If you’re still hungry for some cultural immersion after that, finish your museum tour at Van Gogh’s museum located right around the corner. 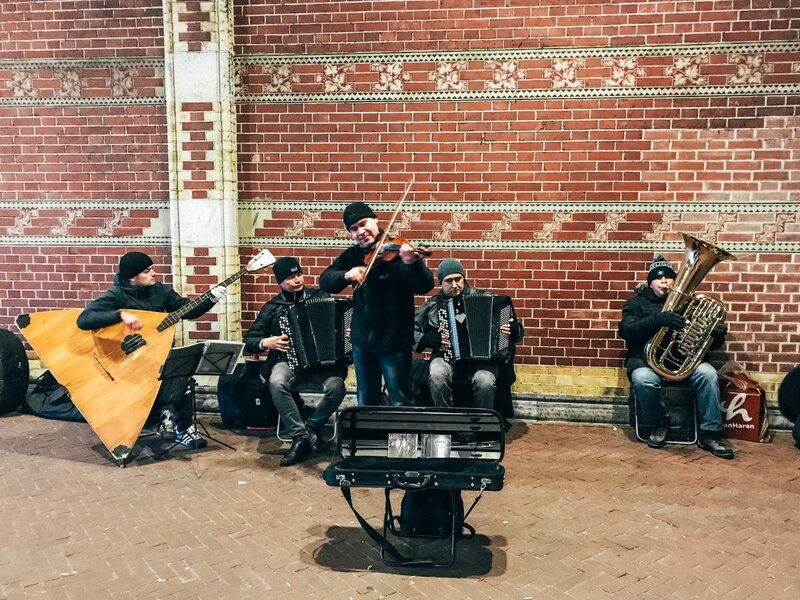 If you’re still not convinced by the art, you can walk or bike through the Rijksmuseum and stop by to listen to some of the free outdoor concerts. Ice skating is a popular Dutch sport, so it comes as no surprise that there are two places only in Oud-Zuid. 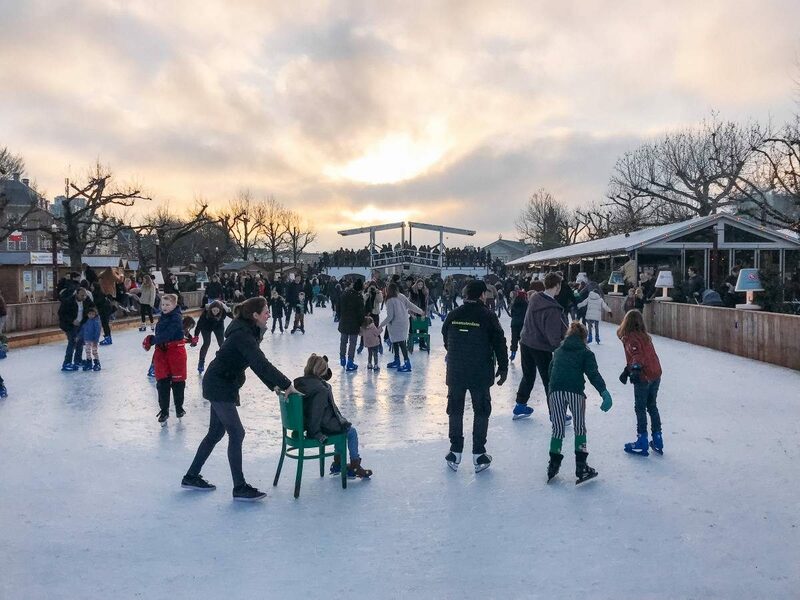 One place where you can practice your ice skating skills is an outdoor seasonal rink at Museumplein. Those who’d rather practice some speed can head to the Olympic Stadium. I must say that I actually prefer the later, as it was less crowded. During the summer, Vondelpark – the biggest park in Amsterdam, is full of people enjoy their picnics. But fear not, in the winter you can just stop by many cafes inside the park and stay warm. 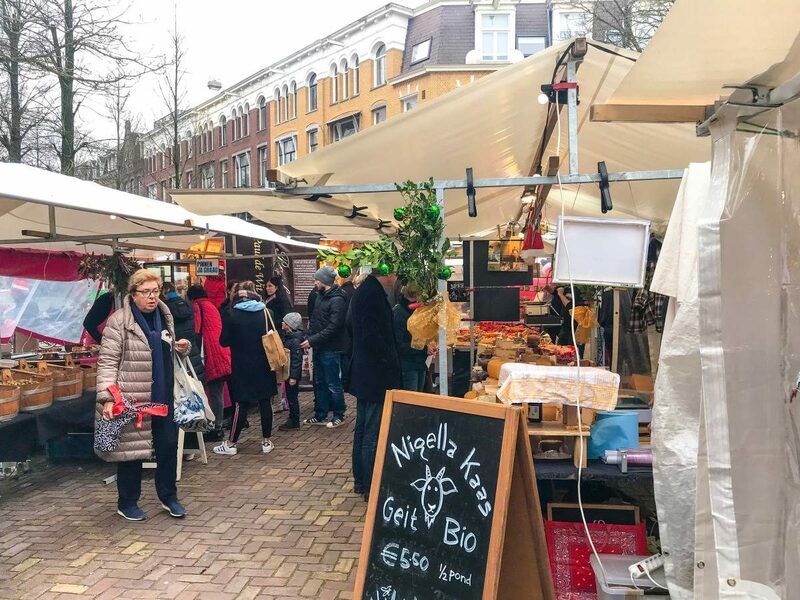 Outdoor markets on Saturdays and Wednesdays are a tradition in the Netherlands. 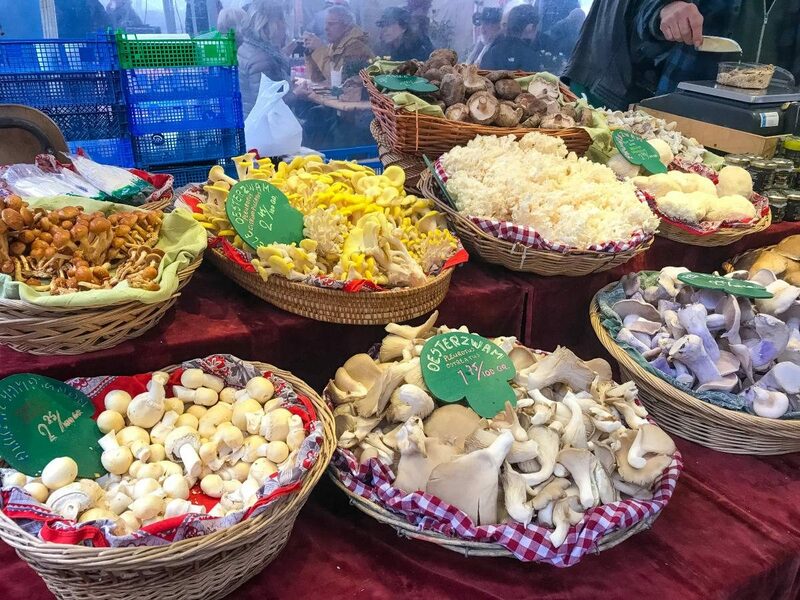 Local farmers come together and sell fresh vegetables, meats, cheeses, fish, or my favorite wild mushrooms. Selected stalls will serve Dutch fried kibbeling – fried fish. The market in Oud-Zuid is particularly fantastic, as you can feel the local vibe. They were even giving free Gluhwein and hot chocolate for everyone passing by. If you want to experience Amsterdam like a local, skip public transportation and rent a bike. Dutch people tend to bike in any weather conditions, so you can join them. It’s really fun to bike around Amsterdam! 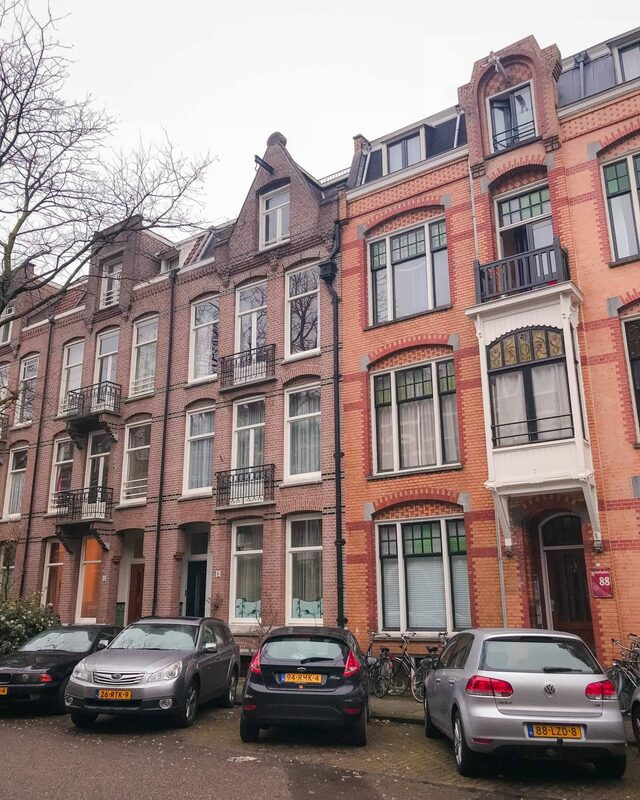 Where to stay in Amsterdam Oud-Zuid? While there are plenty hotels to choose from in the area, I only had a chance to stay at the Apollo Hotel. I can highly recommend this place and its views overlooking a canal. I was able to reach public transportation within a short walk what made my trip convenient. 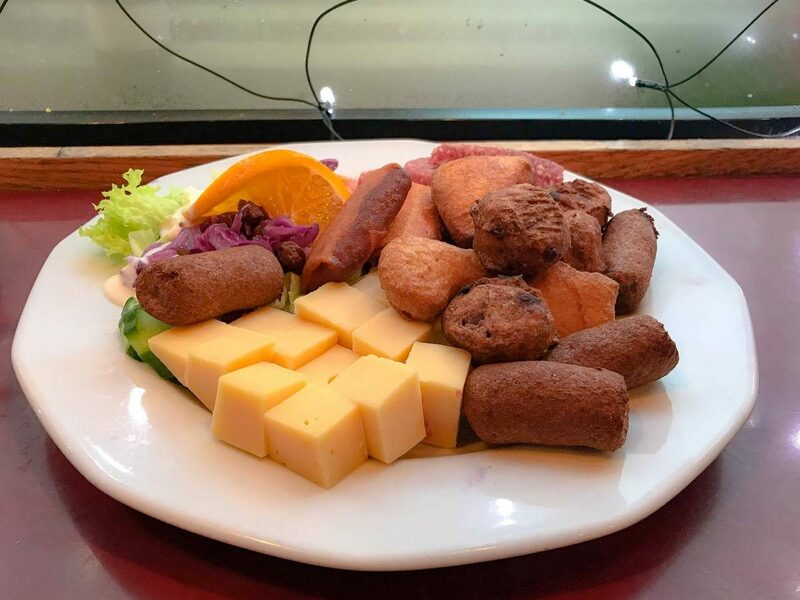 Where to Eat in Oud-Zuid? Restaurant As – This beautiful restaurant is situated near a lovely park next to the Amsterdam-Zuid station. There is a pond, little path, flowers, trees, ducks right next to it. The ambiance was indeed intimate and romantic. When visiting Amsterdam, I recommend getting an iAmsterdam City Card for 24, 48 or 72h. It will allow you to hop on public transportation for free, visit selected museums and take a canal cruise without an extra charge. Also, don’t forget to arrange a health insurance if you’re traveling abroad. The easiest and the most reliable travel insurance is World Nomads Travel Insurance. Get it before your trip to skip unnecessary troubles that might ruin your holidays! To get to Amsterdam you can fly into Schiphol Airport (AMS). Then take a quick train and in 15 minutes you’ll arrive in Amsterdam. I surely recommend KLM Royal Dutch Airlines, as their service is spectacular. In business class, you’ll even get a traditional Dutch house filled with local alcohol called Jenever. Any questions about Amsterdam Oud-Zuid? Don’t hesitate to share your thoughts in the comment section and check iAmsterdam for more information on current events. I am looking to book my son and his girlfriend a trip to Amsterdam for her 21st Birthday. She loves Christmas Markets. But I don’t know exactly which one is best and in a location that is suitable for good restaurants and nightlife etc. 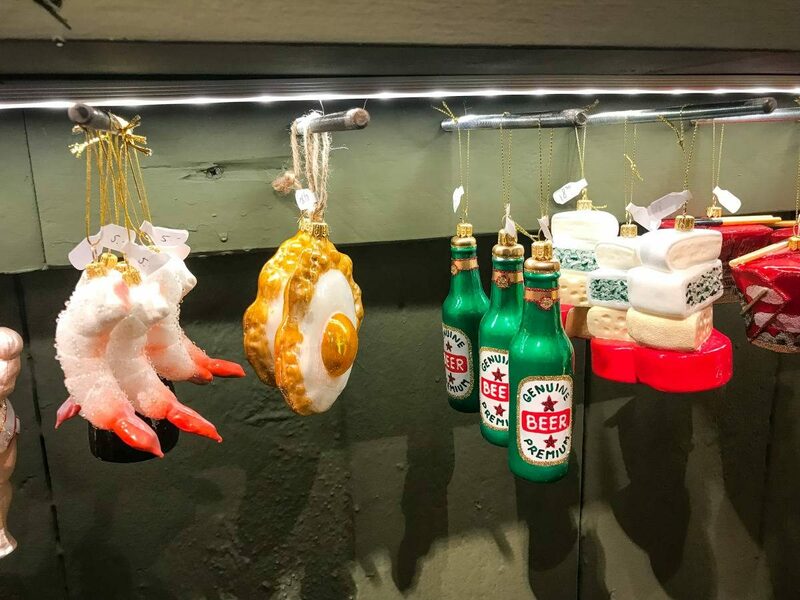 In terms of Xmas markets it’s hard to say which one is best. I really like the one in Oud Zuid, because it’s local. The one at Dam feels touristy, but again – it’s also nice. Thanks very much for your thorough research and reports on Amsterdam, it’s been great to read and really useful. My wife and I will be travelling from Melbourne to the city with our 19-month-old daughter for 1 week in March/April. I really enjoyed reading your report on the neighbourhoods and would love your opinion on an area for us to stay. We love to see the city sites, but don’t wish to stay in a tourist trap. We love to stay in little neighbourhoods with local people with a good vibe with small cafes and restaurants and boutique shops etc. We would be looking to rent an Airbnb so the area doesn’t need to have hotels etc From reading your neighbourhood guide, there seem to be a few places that fit this. Hi! Me and my sister will be travelling to Amsterdam soon and we want to stay in a safe neighborhood. Is Oud-Zuid a good place to stay? We found a nice Airbnb there…. Are Travel Bloggers Allowed to Criticize Instagrammers for Ruining Travel? Where to Go For a Road Trip in the UK?